In Multnomah County, rate payers pay quite a lot for stormwater management (our last bill was more than $20/month). Our goal has been to disconnect from the storm drain in an attempt to save money through Portland's Clean River Rewards Program. There are quite a few useful online resources for how to build rain gardens in your own yard. 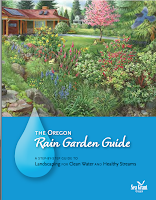 The one we are primarily relying on is published by SeaGrant Oregon titled The Oregon Rain Garden Guide. It has a really useful list of plants in the back of the booklet. 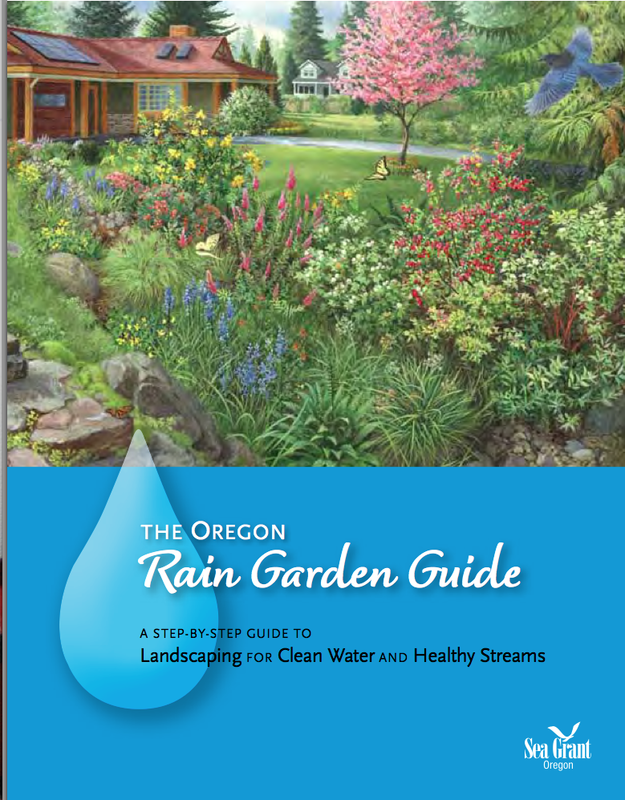 Portland also has a good video summary on "How to Build a Rain Garden." If you live in the Portland, Oregon area you can also take Rain Gardens 101, a free workshop, through the East Multnomah Soil & Water Conservation District. Jeff and Sharon took it last year and they give you a nice printed booklet and teach you how to calculate the water basin size requirements. Building a Rain Garden booklet (pdf). How to Manage Stormwater: Soakage Trenches booklet (pdf). How to Manage Stormwater: Rain Gardens booklet (pdf).